At the heart of this book is one of the rarest documents in 20th century history: a Holocaust diary written in secret by a man who survived for six years in three of the Nazi regime’s most infamous concentration camps. In 1939, Gustav Kleinmann, a Jewish upholsterer, was arrested by the Nazi authorities in his home city of Vienna. Along with his 16-year-old son, Fritz, and a host of other Viennese Jews, he was sent to Buchenwald concentration camp. So began a six-year odyssey of horror, lethal danger and doggedly devoted father-son loyalty that took Gustav and Fritz from Buchenwald to Auschwitz and Belsen, and on the final, brutal death marches as the Soviet forces closed in on the extermination camps. By a combination of extraordinary luck and clever manoeuvring, both Gustav and Fritz survived their harrowing ordeal, and eventually came home to Vienna. There Gustav revealed to Fritz that he had kept a secret diary throughout their time in the camps, bearing witness to the day-to-day routine of enslavement, torture, random murder and wholesale extermination. He also recorded his and his comrades’ determination to survive in the face of overwhelming hostility, violence and grinding abuse. That diary has been preserved. Previously published in Austria in 1995, Gustav Kleinmann’s first-hand account of his experiences is presented now for the first time in English translation. 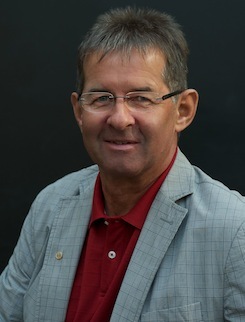 Supplemented by Fritz Kleinmann’s own memoir, written in the 1990s, the whole work is supported and annotated with footnotes and commentaries by Professor Reinhold Gärtner of the University of Innsbruck.